Check out this fabulous color scheme where the cool colors of the water balances the warm colors – yellow and orange - nicely. We could take cue from here and very purposefully combine cool and warm colors together on your project. Or you could just take a cue from the photograph itself. Or you could even use something liquid when making your project – ink, mist, paint, gesso, glossy accents, etc. 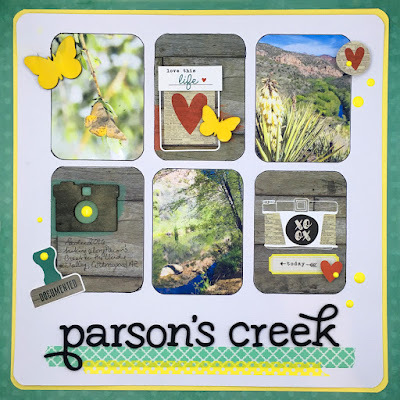 For this second challenge, on her layout titled Parson's Creek, Guest Designer Gretchen Henninger used photographs with a water theme and a warm and cool color theme, mixing aqua, yellow and red. Susanne also chose to mix in bright red and yellow with cooler blues and greys, on a page that deals with reflections, like that you might get off of the water. In her case, it is from mirrors. Leslie got inspired by a little water-play fun! 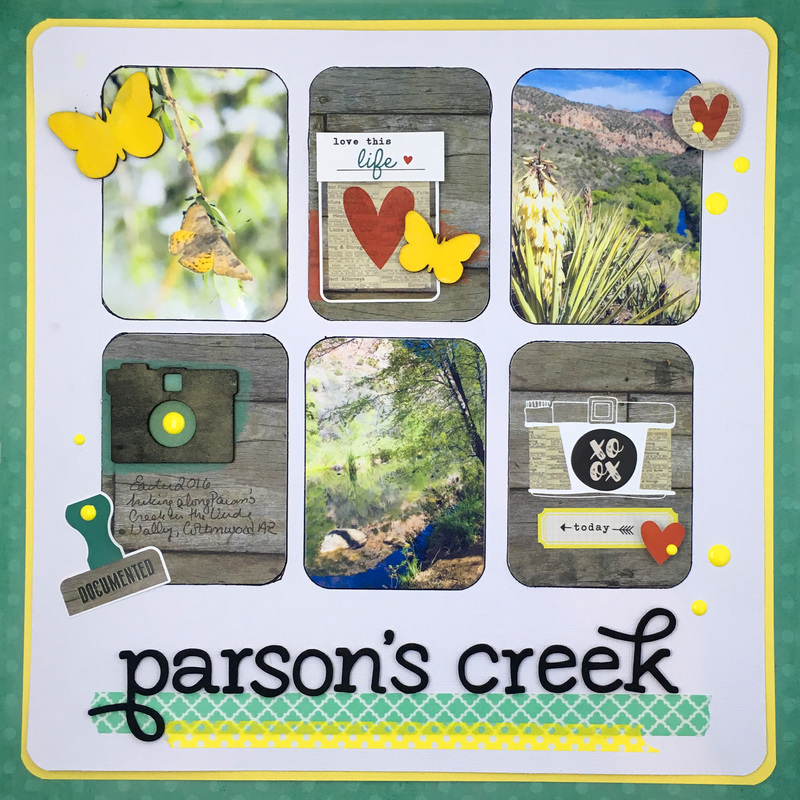 Kelly used the color scheme to inspire her page--see the details on her blog. Do please share your kits and creations to Mr. Linky so that we can all come and look. Perhaps save a special project using this month's kit and join in with your very own Members' Blog Hop towards the end of the month! 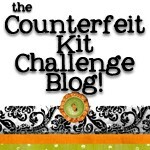 E-mail us your name & blog address & promise to participate at thecounterfeitkitchallengeblog@gmail.com by the 18th. We will e-mail back on the 20th with a list of the hop participants and full instructions. You will need to schedule your own blog post, showing a new counterfeit kit based project, to go live on the 24th at 00:00am Mountain Standard Time (Arizona) but we will help you with the scheduling!